Welbeck Colliery Jn pictured in 1989 was located down the steep slope just off the main road to Mansfield from Edwinstowe. 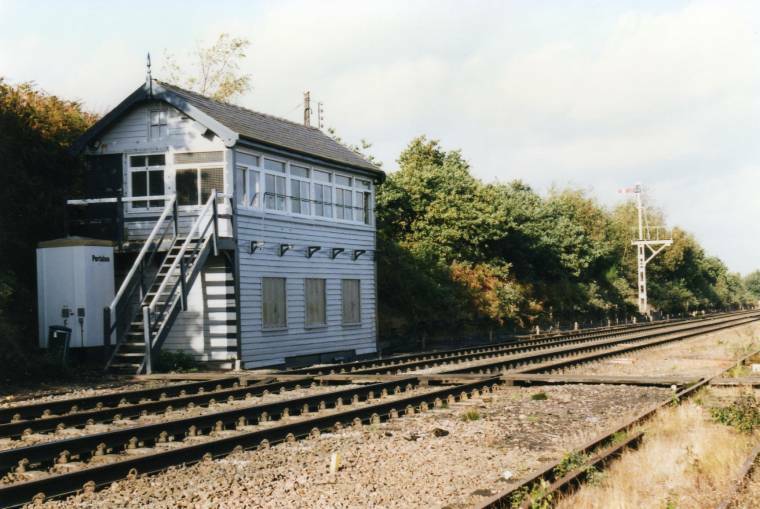 The box closed in 1997 and control was transferred to Clipstone SB when the area was resignalled and colour light signalling replaced the semaphores. Thanks to Mick Charlesworth for images. 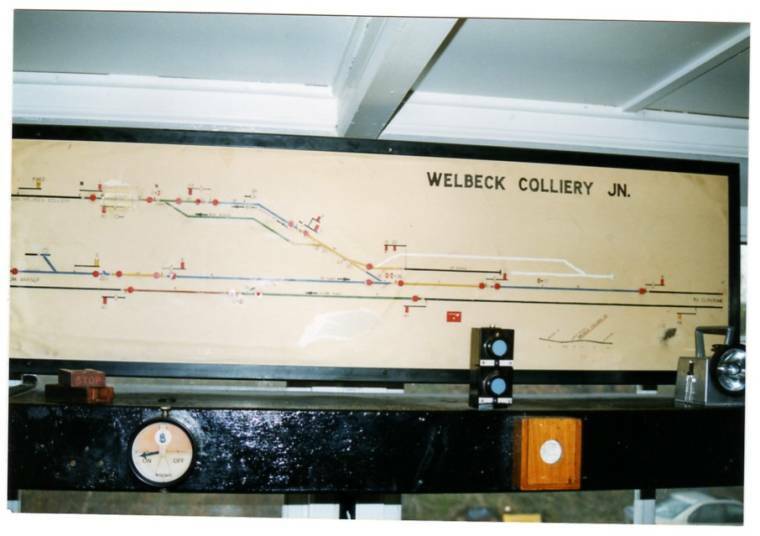 The Welbeck Branch however, wasn't the first branch to serve Welbeck Colliery. 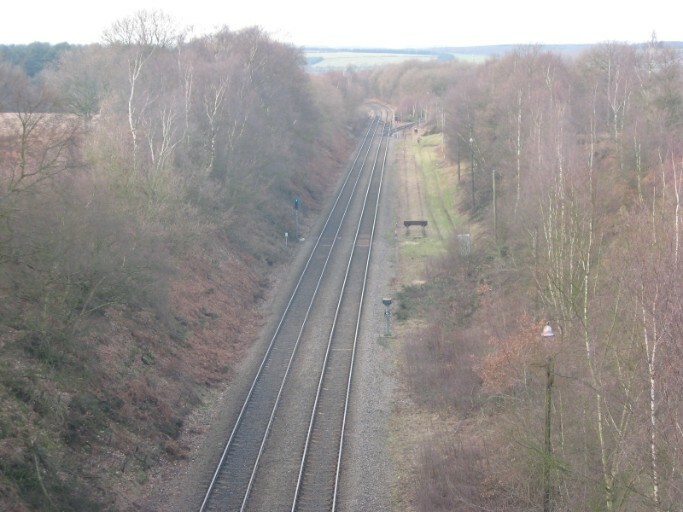 At Shirebrook North Junction (more commonly known today as Shirebrook Cutting), a branch line went from here, under the A60 and entered Welbeck Colliery from the rear. The branch was closed in 1959 and a new branch used today was built in 1974, (see Shirebrook South page for picture of former branch). The brick bridge parapets are actually still in situe on the A60 between Warsop and Worksop at the top of the steep hill. By clicking on the 'Word' document below, you can access a copy of the 1947 Ordnance Survey map showing the branch line still in use. 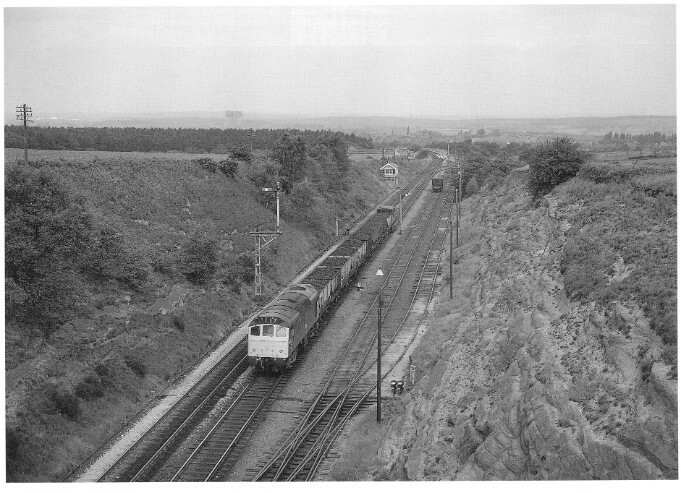 Class 25 at Welbeck Colliery Jn on the 2oth of June 1975 with a ballast train during the relaying of the Up main, in the distance the original two line entrance onto the colliery branch, this was later singled. Photo by John Gilks, shared by Neil Baker. A similar view today nearly 36 years later in January 2011. The noticeable difference is the shortning of the shunt neck on the right, however today the Welbeck Colliery branchline is now closed (see below). 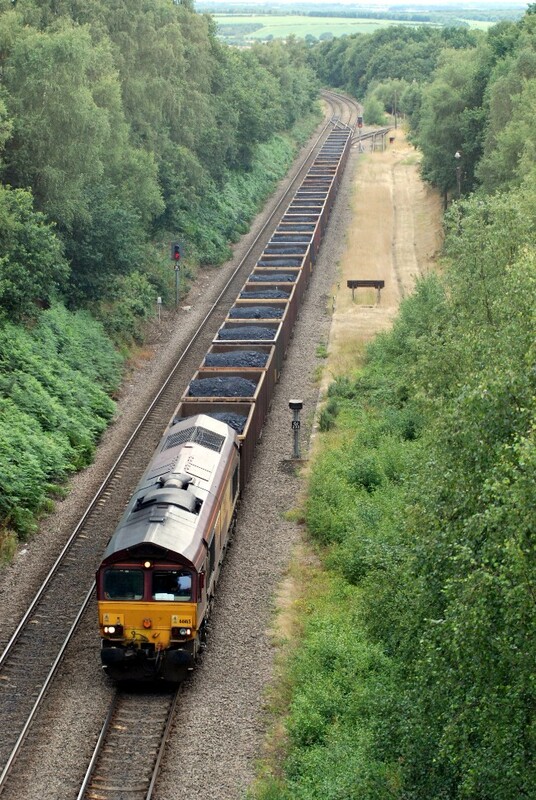 29th of July 2010 and Chris Booth captures one of the last trains to visit Welbeck Colliery before closure. This is Welbeck junction today in 2011. 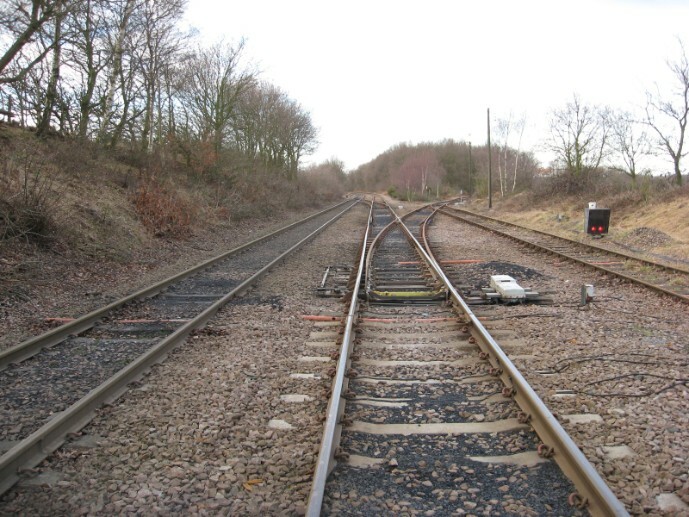 The points straight in front are now permanently out of use and the branch (to Welbeck Colliery on the right) was signed out of use on the 8th of December 2010. The Colliery is now being demolished after nearly a 100 years of production.